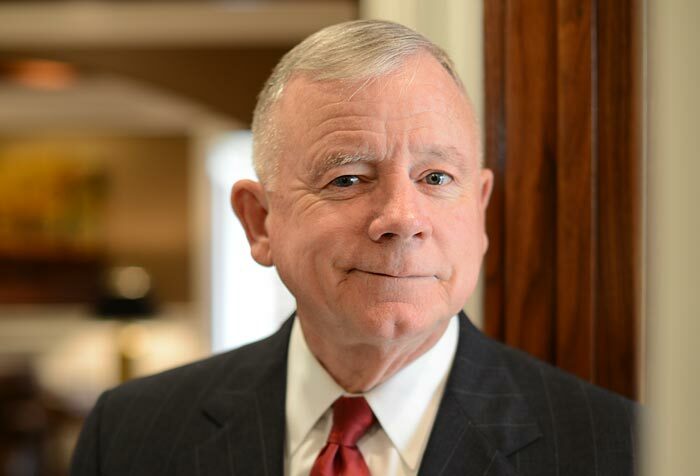 Lieutenant Colonel Dave Beck, a former pilot, battalion commander, judge advocate and military judge in the Marine Corps, has also successfully represented numerous military officers and Staff NCOs from all branches of the service in criminal cases and before administrative boards. His military clients have included pilots, lawyers, judges, infantry and artillery officers, doctors and chaplains. Lieutenant Colonel Beck has, throughout his Marine Corps career and civilian practice, been involved in several of the most significant cases in U.S. military history. In 1998, he had all manslaughter charges dismissed against his client, one the crew members of the Marine Corps jet, which struck a ski gondola cable in northern Italy resulting in the tragic loss to twenty people from five different countries. That case received months of intensive, widespread publicity, both in the United States and throughout the world. In 2005, Lieutenant Colonel Beck had all criminal charges dismissed against his client, one of the two Air Force F-16 pilots who were charged in a case involving international media scrutiny, commonly referred to as the “Canadian Friendly Fire Case”, which involved the accidental killing and injuring of several Canadian soldiers in Afghanistan during Operation Enduring Freedom. While on active duty in the U.S. Marine Corps, then Major Beck was selected in 1987 as chief trial counsel for the National Security Task Force, where he successfully prosecuted the first espionage trial in Marine Corps history, U.S. v. Lonetree, which is the subject of Rodney Barker’s critically acclaimed book Dancing With The Devil. That case required the coordination of investigations, witness interviews, and extensive pre-trial procedures in several countries around the world, including the coordination of witnesses from the CIA, NSA, NIS, FBI and State Department in Moscow, Vienna, London, and various cities throughout the United States. Since his return to Knoxville, Lieutenant Colonel Beck has appeared on numerous local, national and international radio and television programs including: ABC’s Prime Time Live with Sam Donaldson on two occasions; Eye to Eye with Connie Chung; American Justice; the Oliver North radio show; The Today Show with Matt Lauer; Good Morning America with Diane Sawyer and Charlie Gibson on two occasions; Nightline with Ted Koppel; CNN American Morning with Paula Zahn; ABC 20/20; CNN International, both radio and television; G. Gordon Liddy National Radio Show; The CBS Early Show with Harry Smith; Fox News Network; Geraldo Live; Court TV with Catherine Crier; the Hallerin Hilton Hill Radio Show in Knoxville on several occasions; and several local, British and Canadian television and radio programs. He has been a frequent speaker on topics related to his areas of practice, as well as to civic groups, athletic teams and other organizations on current events and motivational topics. Lieutenant Colonel Beck earned his B.S. degree from the University of Tennessee in 1971. In 1979, he earned his J.D. degree from the University of Tennessee Law School while attending school as a U.S. Marine Corps Captain on an U.S. Marine Corps Scholarship Program. While in Law School, he was selected for membership in the Phi Kappa Phi National Honor Society. His military honors include: Rifle Expert (2nd award); Pistol Expert (5th award); National Defense Service Medal w/ star; Sea Service Deployment Ribbons w/ 2 stars(3 awards); Letters of Appreciation (2); Meritorious Unit Commendation Medal; Navy Commendation Medal; Meritorious Service Medal w/2 stars (3 awards); Southwest Asia, Defense Medal; Desert Storm Service Medal. Commissioned as a 2nd Lieutenant in the U.S. Marine Corps on November 11, 1971 at Quantico, VA. Lieutenant Beck was then assigned to Pensacola, FL, and completed Naval Flight Training on Jan 26, 1973. He was sent to New River Air Station, Jacksonville, NC, where he became an aircraft commander (PQM), flight leader and division leader in the AH1-J Cobra (attack helicopter), the first 2nd Lieutenant to do so. In 1977, he applied for and was accepted to the Marine Corps Funded Law Education Program which provided a full scholarship to attend law school. 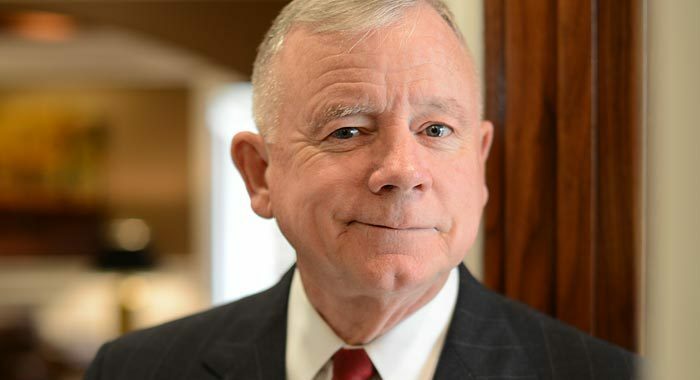 He attended The University of Tennessee Law School, while serving at Headquarters Marine Corps in Washington, DC, during the summer and graduated fourth in his class in December of 1979. In August of 1980, Captain Beck graduated from the Military Justice School Lawyers Course in Newport, RI and was designated a Judge Advocate. He then was assigned duty at the Law Center at Parris Island, SC, where he served as Judge Advocate, first as a criminal defense attorney and then as Chief Prosecutor. In 1983, Major Beck was assigned one year duty in Okinawa, Japan and Korea where he served as Assistant Staff Judge Advocate, then Staff Judge Advocate. In 1984 he returned to Parris Island where he again served as Judge Advocate in the role of Chief Prosecutor for the Marine Corps there. In 1986, he was assigned duty as Commanding Officer of Support Battalion, the first such assignment for an aviator or lawyer. In 1987, Major Beck, was assigned as Chief Trial Counsel for the National Security Task Force at Quantico, VA. In this capacity, he prosecuted one of the highest profile cases in the history of the Marine Corps. Sgt. Clayton Lonetree, represented by famous trial lawyer, William Kunstler, was the first Marine charged and convicted of espionage. In 1988, Lieutenant Colonel Beck completed the Military Judge Course in Newport, RI, and was assigned duty as a Military Judge at Marine Corps Base Camp Lejeune, NC and other areas in the Piedmont Judicial Circuit.